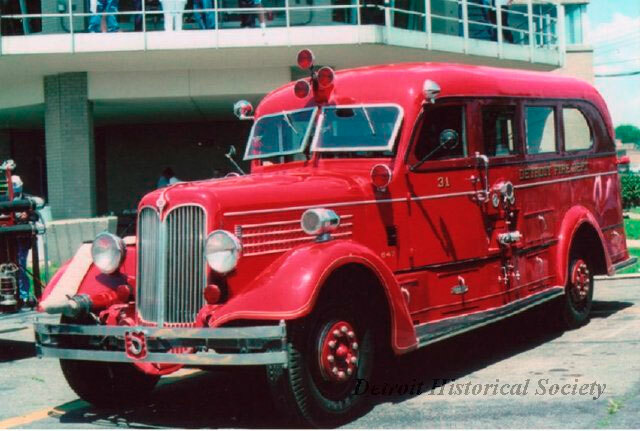 Description: 1938 Seagrave 1,000 gpm, Eng. 31, Detroit FD sedan pumper, ’Sweetheart’ grille. Circa 1975.